OGG&J represents the major construction industry contractor associations in all aspects of labor relations including negotiating and interpreting their master collective bargaining agreements and representing individual contractors in disputes arising out of the contractual relationships through arbitration, The National Labor Relations Board or federal court action, including an appeal to the United States Supreme Court. OGG&J works with employers to develop effective personnel policies to avoid costly litigation whenever possible. But we are experienced in handling a broad range of employment-related issues and in resolving employment-related disputes through litigation or alternative dispute resolution, including sexual harassment and other discrimination claims, wrongful termination, as well as the enforcement of non-competition, non-solicitation and confidentiality agreements. OGG&J attorneys are counsel to the pension, annuity and health benefits funds of five major building trades unions in New England having an aggregate asset value over $5 billion. They advise the joint labor management boards of trustees on fiduciary responsibility, prudence, avoidance of prohibited transactions and compliance with the Health Insurance Portability and Accountability Act (HIPAA) the Employment Retirement Income Security Act (ERISA) and the Internal Revenue Code (IRC). 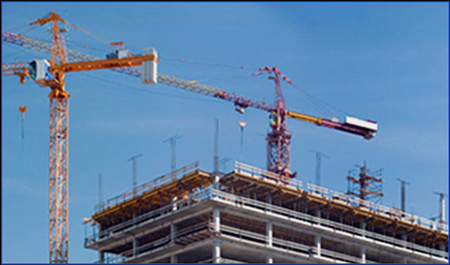 Whether you are the owner, general contractor, subcontractor, or supplier on a construction project, OGG&J’s construction practice will assist you in achieving a successful project outcome. OGG&J attorneys have extensive experience in the resolution of construction disputes through alternative dispute resolution. They have tried many jury cases in the state superior and federal courts and handled appeals all the way to the Supreme Judicial Court of Massachusetts. OGG&J has vast experience advising employers and defending claims involving wage and hour issues, including prevailing wage, overtime and blended overtime calculations, non-payment of (minimum) wage, and independent contractor issues. OGG&J attorneys also represent clients in the trucking, pharmaceutical and energy industries. They have been engaged to negotiate Project Labor Agreements for Gillette Stadium for The New England Patriots, the Cape Wind project, the Bristol/Myers Squibb Cell Generation Plant in Fort Devens, MA, and for Novartis in Cambridge, MA. In the public sector, James F. Grosso has represented the Commonwealth in the negotiation of a 10-year Project Labor Agreement at the University of Massachusetts, Boston Campus and for the Rehabilitation of the Longfellow Bridge. He has represented a pharmaceutical passivation company in an employment dispute in New Jersey and handles employment issues for a client with operations in New York, Pennsylvania and Arizona. The firm also negotiates and handles all collective bargaining issues for a leading waste management company. OGG&J has substantial criminal law experience, particularly involving complex white collar enforcement actions. OGG&J regularly advises employers on regulatory compliance and represents those companies that are pursued by state and federal authorities for non-compliance. OGG&J’s real estate practice provides skilled representation in a variety of transactions, including the financing, leasing, acquisition and disposition of commercial properties.